I can’t even tell you all how excited I am to start a garden this year. With our constant moves with the military I’ve always limited myself for the most part to container gardening (and this small raised bed I built for $15). This year, now that we’re in what we hope to be our “forever” home, I have HUGE gardening plans! 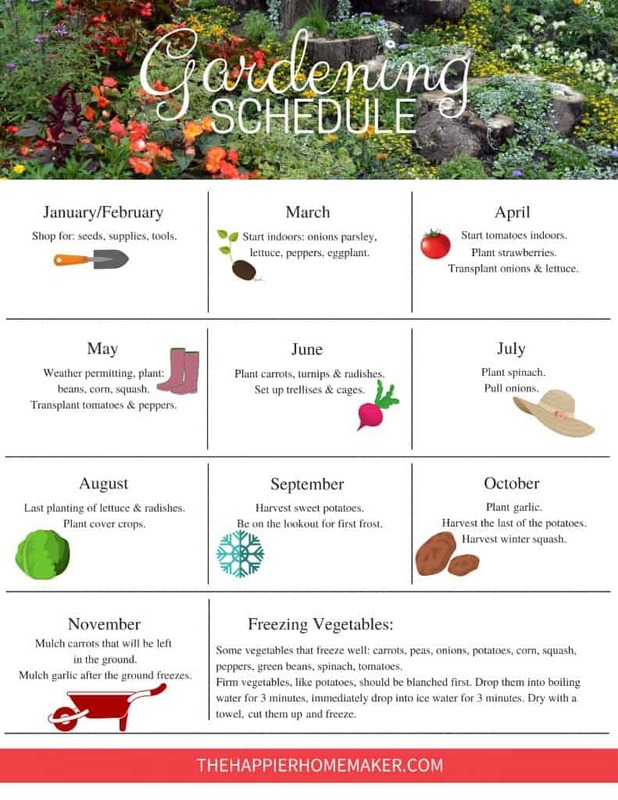 To celebrate the start of garden planning season I’m giving you this printable garden schedule! Click here to download.This is a generic baseline gardening schedule, depending on your zone you may need to skew things to the right or left. For instance here in coastal Georgia I’ll be doing all of this about one month earlier than this schedule shows because we’re zone 8, almost zone 9. If you are in the north you may need to start a little later and you’ll have a shorter growing season. I always check with the state extension office when we move for recommended growing dates for the area we live. That being said, on to the garden planning! My end-state goal for the house is to have a working kitchen garden with veggies, herbs, and possibly some fruits thrown in. I also want a cutting garden because I love fresh flowers in the house. We had four Endless Summer hydrangeas when we bought the house already and some amazingly gorgeous varieties of roses. I also put in some Limelight hydrangea and Incrediball hydrangeas in the fall and am hoping they take off in the spring. I’m planning on planting ranunculus and dahlia bulbs as well as heirloom carnations and zinnias to round out the cutting garden. Right now I’m debating whether to put them in the ground or in containers. I’m thinking they would be nice for border planting as well. For the vegetable garden, we are in the midst of deciding whether to build raised beds along one of our fence lines or putting in a greenhouse. I love the idea of a greenhouse like this one, it reminds me of England! 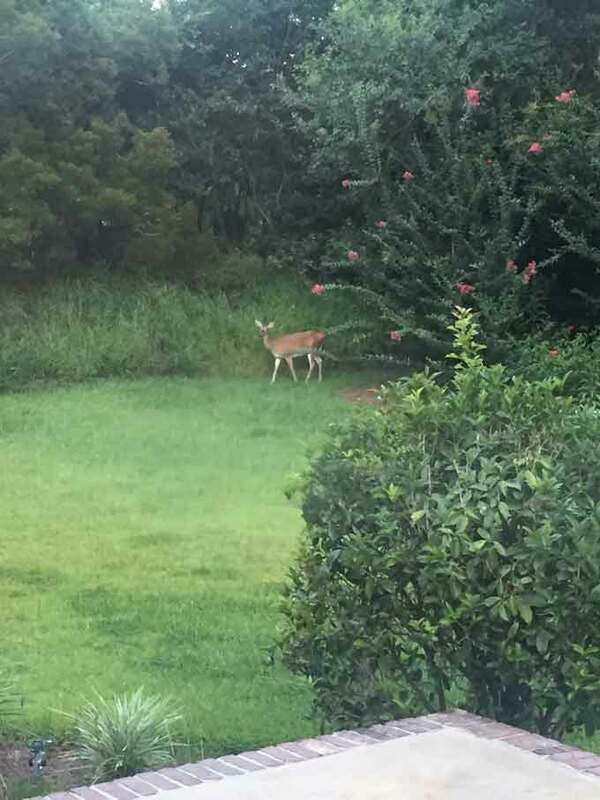 I’d love your opinion on this one-my husband suggested the greenhouse because he knows how much I want a dedicated gardening space and knows that I’m very worried about our deer. I love seeing them in the yard but after they started chomping on my hydrangeas and roses last fall they are less welcome. I do worry that the greenhouse would be a bit too much in the yard. Let me know what you think! The vegetable garden will definitely include the salsa garden I normally grow in containers with tomato, cilantro, and a variety of peppers. I’d also love to try my hand at growing carrots, salad greens, beans and peas this year. And of course cucumbers, zucchini and squash! I’ll be sure to share our plans as we finalize them but before you go please let me know what you think of the greenhouse idea, we’ll need to decide soon! 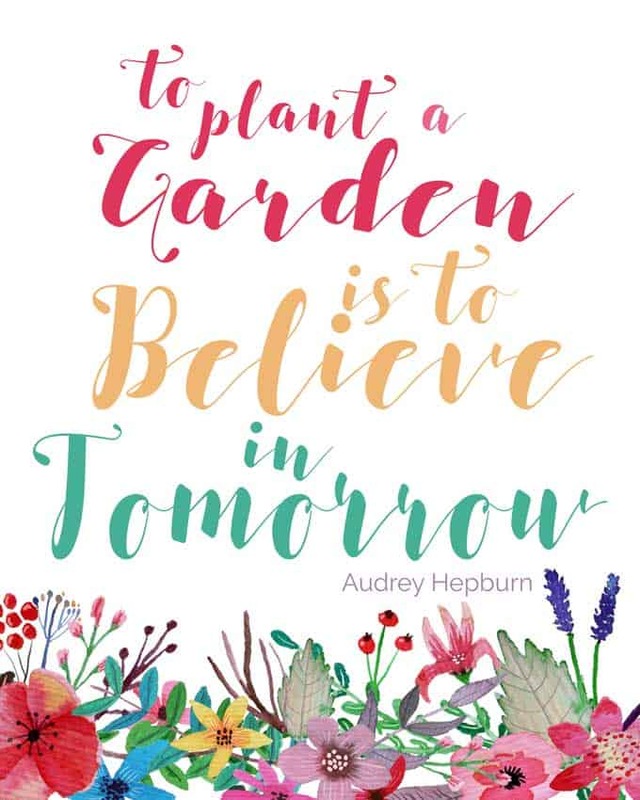 Click here for this printable art and other garden-inspired art. Gardening is a good choice. You can enjoy the benefits of fresh air and you can create something beautiful. Gardening is good for health and especially, especially container gardening is a great family project that encourages everyone to go outside and dig in the dirt and also plan meals together.